The eternally tender lines where each word is filled with the sweetest available quality of honey drops, the eternally peaceful music providing the silent essence of the romance and the eternally soothing voice which resonates deep within your soul – This is all I could say about this soulful number. 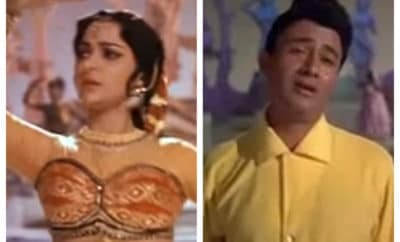 From a not-so-known movie – Shankar Hussain (1977), this song in my opinion is the cult song in the romantic genre. I was surprised initially knowing this is penned by Kamal Amrohi; he was also a poet apart from what he is popularly known as – an award winning director and screen writer. This song testifies him as a poet too – not just a simple poet, rather a truly romantic poet at heart. 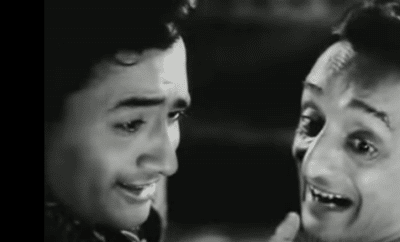 The music by the legendary Khayyam Saab and the soulful voice of Rafi saab takes this song to just another level. ‘Somewhere an innocent sensitive girl, very beautiful but sallower’ – She is innocent as well as sensitive as well as beautiful as well as sallow☺. What the range of objectives to define one’s soul mate. When she finds me in the arms of her dreams, unknowingly she must be at least smiling in her sleep sometimes. In that slumber, she must be at least writhing and dropping her pillow on the floor. Kudos to Mohommad Rafi Saab for saying the words ‘Kasamasa-kasamasakar’ the affectionately he said, no one could have ever said. That’s the magic only in Rafi Saab’s voice. You actually sense that feeling of writhing!! Those dreams arriving at the break of the day must be making her happy inside. At the fathom of her heart, those dreams must be enticing her with my memories. She, in soft and quiet tones, must be humming something in my tune. ‘Let me write a letter to him’ – A thought must be coming to her mind but her fingers must be trembling. The clever choice of words by Kamal Amrohi – Kasamasakar, jhanajhanaate to honge, gungunaati to hogi, kapkapaati to hogi injects the sense romance into veins of listeners. The pen must be slipping out of her hands, and then her desires must be lifting her pen. After writing my name on her books, she must be pressing her finger between her teeth. And I thought only Gulzar saab could do this, but no. Adding a steep sensitivity to an otherwise mundane act – like pressing finger between teeth and like pen slipping out of her hands – is not only attributed to Gulzar saab, but also to Kamal Amrohi. Sometimes subconsciously if she utters ‘Uff’, her body must be gently becoming restless. Her steps must be faltering and her wrapper must be hanging on the floor. Sometimes she must be assuming dusk as morning and night as noon. The entire poem is written in such a way that it compels your mind to imagine and live each and every term, each and every expression and each and every emotion. THIS IS Bliss.